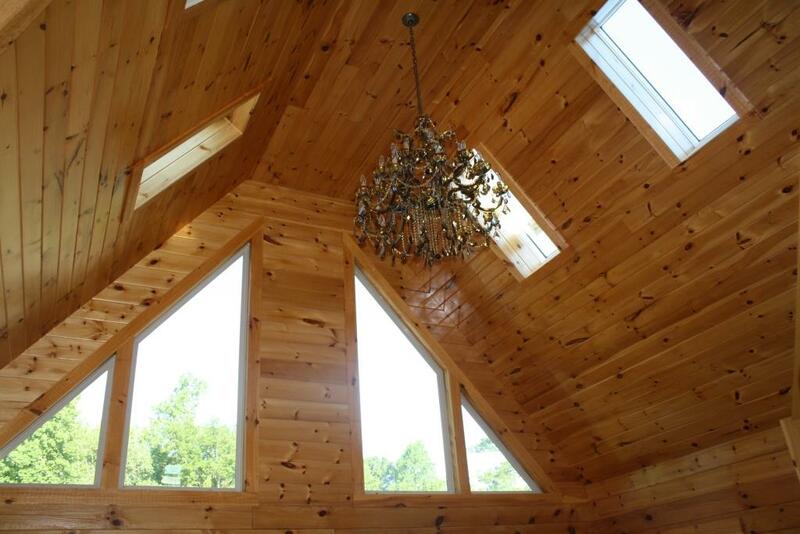 “Sunrise Pines” is a 3 Bedroom, 2 Bathroom Custom Log Home Built in North Carolina. 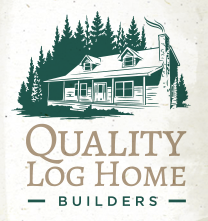 When you think of a log home, our “Sunrise Pines” project in North Carolina will probably come to mind. 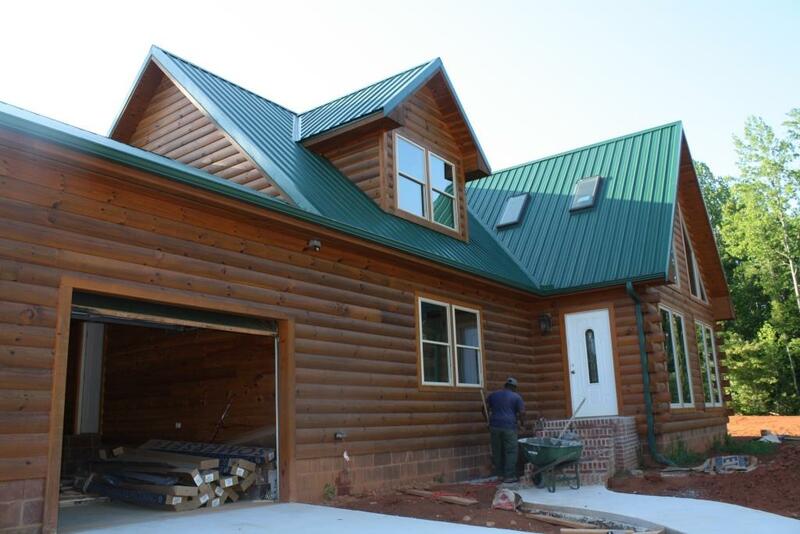 The green metal roof and textured exterior play perfectly with each other. 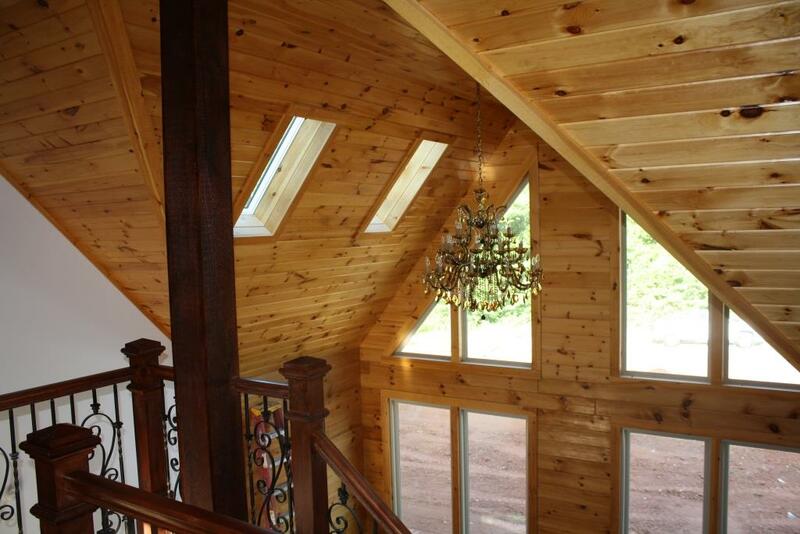 Our client wanted to blend the rustic feel of a log cabin with small touches throughout of amazing chandeliers and metal treatments to their custom staircase. 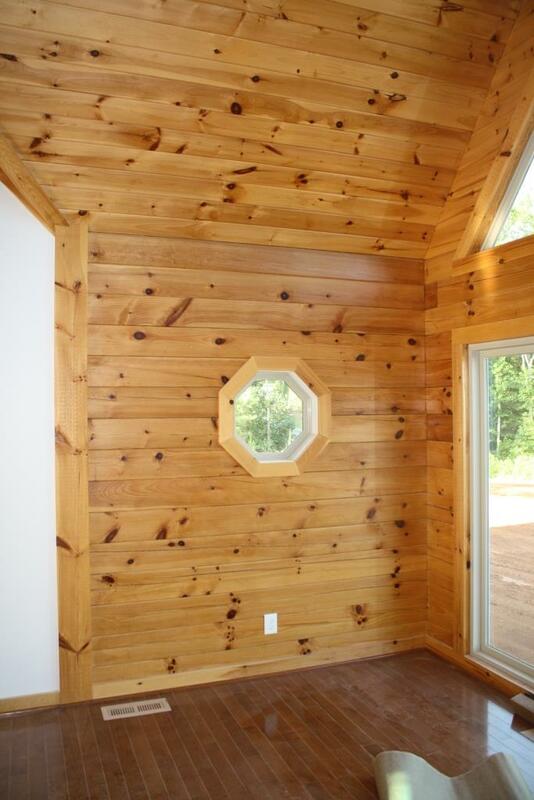 Unlike most log cabins, the walls are a blend of a traditional log and plank with touches of white. 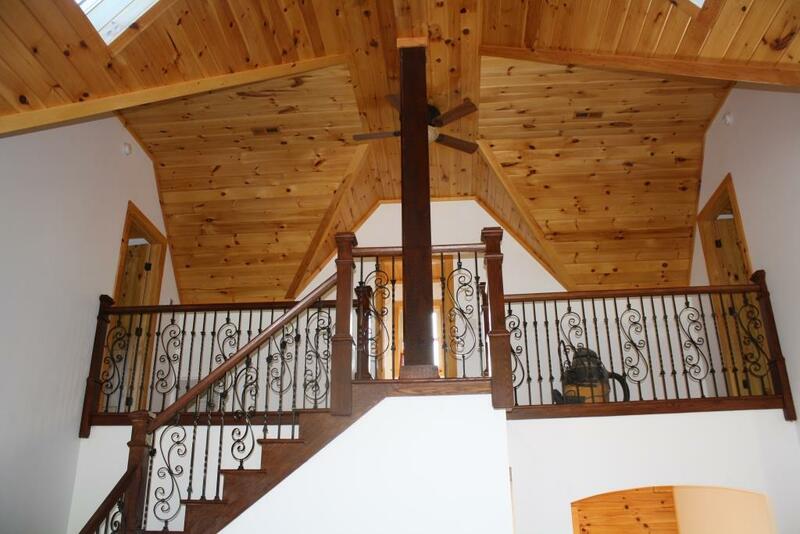 Using these interior treatments to your home will allows the log grain to “pop” and almost become standing art pieces by themselves. 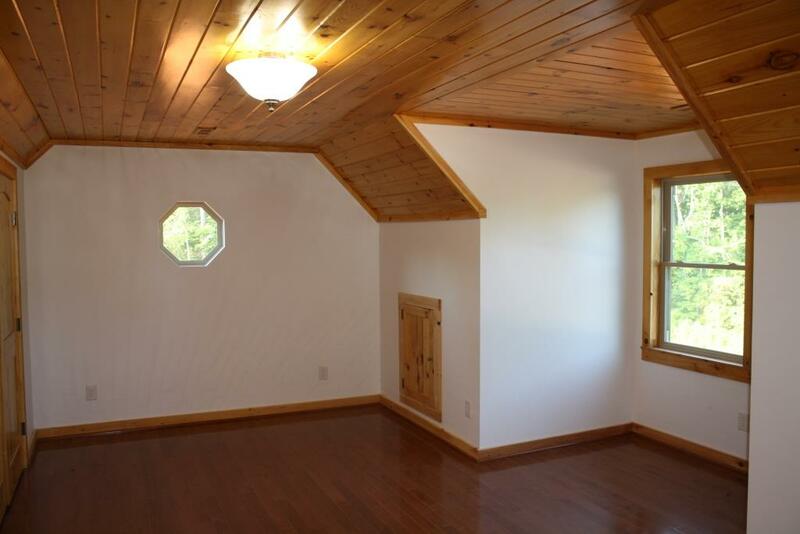 Using a darker wood floor played to the color palette allowing the brightness of the interior wood grain and white accents to brighten up each room.